Employee Attendance tracking - Field Force Automation CRM. anywhere and at any time. The Field Force of your Company is usually on the field. Therefore you will need an employee tracking software to keep track of whether they are coming to work and where they are. Above all, whatever the tasks assigned to them. 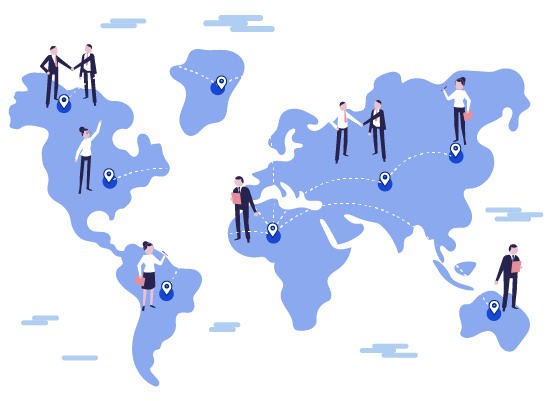 Employee tracking software of Field Force Connect will not let you worry about tracking their location for sure. Field force connect’s employee tracking software allows you to monitor your employee’s check-ins checkouts. Employee attendance from anywhere. This is the best feature of employee attendance app or employee tracking software. At any place and time. Besides that, you can also set the geofencing areas as required with the admin privilege from the map. Above all geofencing area can be saved through drawing or setting the exact location This is the best feature of employee tracking software. Besides, Admin can also configure the settings for the particular user. Therefore through the global setting, You can configure the number of total working hours in a day. Set total working hours in half day. Holidays can also be set by selecting a date and providing the description of the holiday. This is one of the important features of employee tracking software. Most noteworthy, In employee tracking software an employee can request timesheet update by filling up timesheet request sheet.This will help in case check-in and check-out has been missed or delayed. As a result, Admin will manage employee timesheet process.